Another minivan/wagon bits the dust. Several years ago Toyota decided to expand its Prius lineup by offering the popular hybrid in different body styles other than the liftback. The Prius C hatchback and the Prius V wagon/minivan were the results, and now one of them is being discontinued for 2018. has confirmed the Prius V is a goner for the US and Puerto Rico after six model years. The reason? Well, sales, obviously, but it turns out this was a case of internal competition. The launch of the 2016 RAV4 hybrid is what drove the final nail into the Prius V’s coffin. This really isn’t surprising because it’s long been known that buyers today greatly prefer crossovers to minivans and wagons alike. Even hatchbacks are losing ground to crossovers. “After six years and nearly 160,000 units sold in the US, the decision was made to end Prius V production for the US and Puerto Rico this December,” stated Toyota communication manager Corey Proffitt. 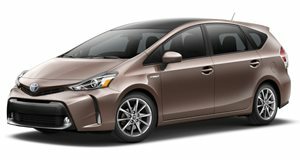 However, Proffitt confirmed the Prius V will continue to be sold in other global markets, but nothing was said about its future in Canada. 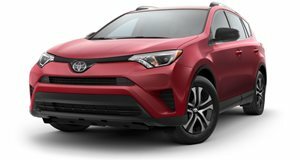 The sales numbers speak for themselves: Just 14,800 Prius Vs compared to 45,000 RAV4 Hybrids were sold last year. Thing is, the Prius V has better fuel economy despite being older. Owners enjoy 41 mpg combined compared to the RAV4 Hybrid’s 32 mph. Then again, the RAV4 Hybrid does offer AWD. Still, the Prius V is certainly more minivan-like, therefore it offered greater interior flexibility. It just didn’t look as trendy from the outside. The death of hybrid wagons/small minivans isn’t limited to Toyota, but also with Ford and its recent announcement to end C-Max sales in the US. Hybrid crossovers are now taking out their few, and now dwindling, hybrid wagon siblings.